The Cosmopolitan of Las Vegas has announced plans to open Block 16 Urban Eatery & Bar. Located on the second level of the Boulevard Tower and debuting in early fall 2018, the urban market will consist of six food and beverage outposts which have been established regionally throughout the country: New Orleans’ District: Donuts. Sliders. Brew. ; Ghost Donkey, a tequila and mezcal cocktail bar from NYC; Nashville’s Southern chicken joint Hattie B’s Hot Chicken; Portland chef Rick Gencarelli’s over-the-top sandwich eatery, Lardo; chef Andy Ricker’s Pok Pok Wing from Portland; and Japanese handroll and sake concept Tekka Bar: Handroll & Sake from Las Vegas restaurateur Takashi Segawa. The design of the market will include corrugated metal and polished concrete framed by steel with visually appealing art such as a graffiti wall art collage and neon décor accents. Block 16 Urban Eatery & Bar, The Cosmopolitan of Las Vegas, 3708 Las Vegas Blvd. S., Las Vegas, NV 89109, 702-698-7100, 877-551-7772. The 12th installment of Three Square Food Bank’s Las Vegas Restaurant Week will convene June 18-29. As in the past, more than 100 of the city’s finest restaurants will offer a three-course prix-fixe menu — some for breakfast, lunch and/or dinner — at price points ranging from $20 to $80, with a portion of the proceeds from each meal donated to Three Square, Southern Nevada’s only food bank. Approximately two weeks before Las Vegas Restaurant Week begins, the mobile-friendly website helpoutdineoutlv.org will launch, providing a complete list of participating restaurants, prix-fixe menus and the option to make reservations. Interested restaurants should contact Three Square’s Kari Goldberg at 702-644-3663 ext. 332, or [email protected]. Katsuya Japanese restaurant at the SLS Las Vegas is offering a four-course tasting menu priced at $50 per person. Courses are a choice of crispy rice with spicy tuna, yellowtail sashimi with jalapeño or spicy albacore sashimi with crispy onions; crispy chicken salad, creamy rock shrimp or crispy Brussels sprouts; seafood yakisoba, mushroom bop or omakase sushi; and assorted mochi ice cream and seasonal fruit for dessert. Katsuya, SLS Las Vegas, 2535 S. Las Vegas Blvd., Las Vegas, NV 89109, 702-761-7611. Batali & Bastianich Hospitality Group (B&BHG) will be closing three of its Las Vegas restaurants. Carnevino at The Palazzo Resort Hotel Casino, B&B Ristorante and Otto Enoteca Pizzeria at The Venetian will shutter July 27, 2018. 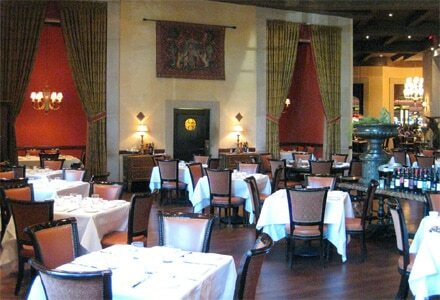 Carnevino, The Palazzo Resort Hotel Casino, 3325 Las Vegas Blvd. S., Las Vegas, NV 89109, 702-789-4141.